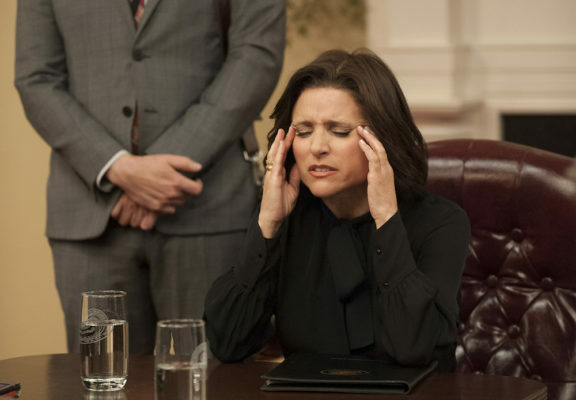 What’s next for Selina Meyer? Recently, Veep showrunner David Mandel spoke with Deadline about the future of the HBO comedy. The series stars Julia Louis-Dreyfus as [SPOILER ALERT] former President Selina Meyer. The cast also includes Tony Hale, Anna Chlumsky, Reid Scott, Matt Walsh, Timothy C. Simons, and Sufe Bradshaw. Season five of Veep ended last night. What do you think? Do you watch Veep? Did you enjoy the season five finale?